One of the big chain, local sports stores has a unique idea for a birthday party. 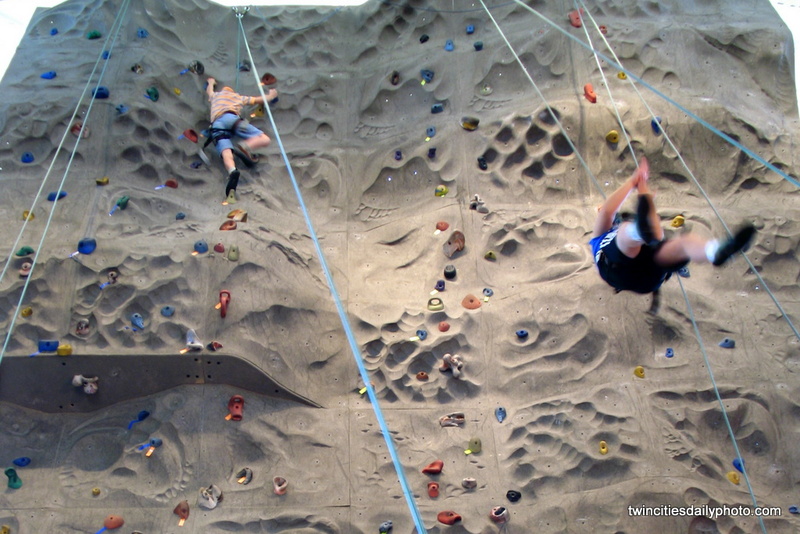 The stores gives exclusive access to their climbing wall for two hours of climbing for 10 guests. 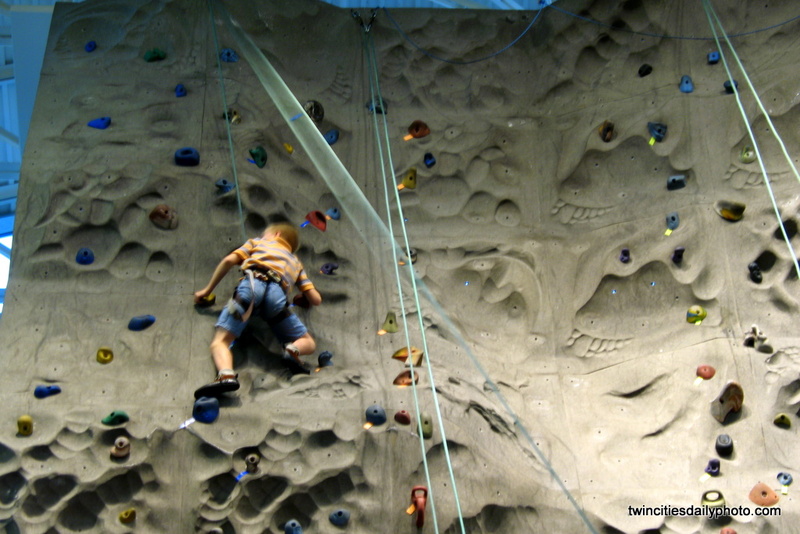 They have four main climbs from beginner to expert. 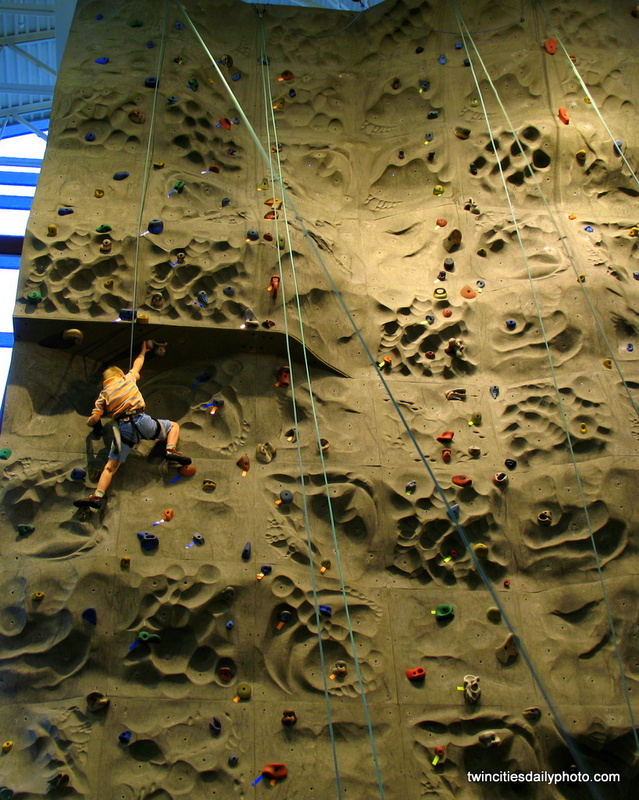 The easiest climbs on this wall are on the right, with the left side for the more agile climbers. Really the difference is the amount of grips to choose from and the protrusion near the top of the expert climb. It was very enjoyable for all of the boys at the birthday party.